Posted in Pie Chat, under . Tagged with market research, Samuel Vetrak, StudentMarketing. StudentMarketing has quickly established itself as a market research leader on youth travel and international education trends. 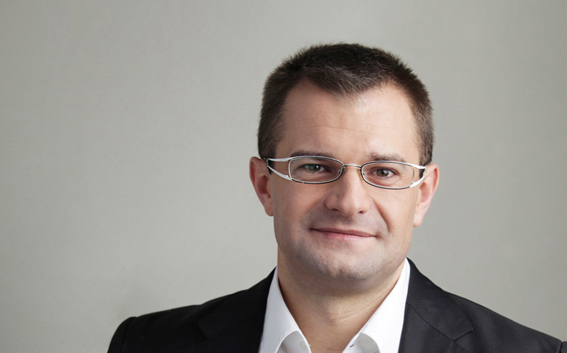 Based in Vienna in Austria, Samuel Vetrak, MD of the company, answers our questions. The PIE: Please tell us about how you came up with the business proposition for Student Marketing? Amy Baker is a founder of The PIE News and has been working in international education since 1997. She is a recipient of the IEAA Award for Excellence in Professional Commentary and won the Women in International Education Awards category of Business Owner of the Year in 2017. "It struck me that this industry was seriously under-documented"
SV: After being in the business for several years, it struck me that this industry was seriously under-documented. It lacked an informational base! How were organisations making good decisions without this key data? I felt this needed to be addressed and that we could change things for the better. So, we started with something very specific, something that could be used easily. We created a sort of “Yellow Pages” – a detailed database of agencies. Later on we developed more general topics, such as mobility, trends, price comparisons, indexes etc. Knowing markets and agents, we were also able to help companies make decisions about who to buy in M&As or who to work with. Now, we also leverage the market intelligence and offer business solutions as well. The PIE: How has your business developed? SV: Very quickly, actually, when I look back. We kicked this concept off with the focus on the Eastern European market. After a few years, however, it was obvious that our services would be useful on a global scale. And that’s a big challenge! So, we’re constantly expanding our expertise towards this goal – monitoring more sources and markets, offering implementation and solutions in more and more regions. The PIE: How do you work with other companies to help them build business? SV: That’s easy – we provide them with the data they need (Market Intelligence, On Demand Research), or with services we have developed, using our data and knowledge. We monitor educational agencies worldwide and are able to help our clients navigate the fragmented market and advise them on who would be the best to work with. This is our strategic, selective approach. We call our services ‘Business Solutions’ and they include organising Agent Sales Trips, Familiarisation Tours, Trade Missions, Agent Procurement and Agent Marketing. We also offer a white label General Sales Agent service. The PIE: Which world region do you see as the most vibrant in terms of student demand for international education, and why? SV: South-East Asia: China, India, Pacific Asia. The rapid rise in the middle class of these regions and the corresponding rise in income is the most significant factor. And, of course, their populations are huge. We anticipate an increase from 0.5 billion to 3 billion potential customers by 2030. The PIE: What are your predictions in terms of how the agency industry will develop, given its considerable fragmentation?